Try this. Go to Google and enter recursion and prepare for a bit of a troll. 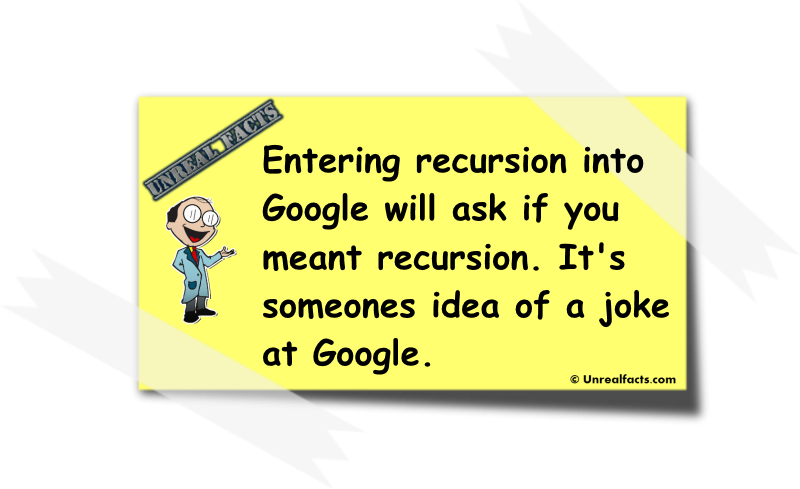 Google will do it’s normal thing and list a huge number of search results related to recursion. But at the very top of the search results page will be a suggestion by Google asking if you meant recursion. This isn’t a mistake on your behalf, or on Google’s either, so you aren’t loosing your mind. Even if it does feel that way. Did you notice the problem. Normally Google does this if there is a spelling mistake and they ask if this was the word you meant, and will give the results for that word. But the problem, or troll here is that recursion in Google is spelled correctly in both instances, even the suggestion is spelled the same way as what you typed. So what gives? Google is well known for giving little Easter eggs, or hidden jokes on their website. This is just one of them, and it is a rather nerdy one at that. It’s just that for recursion, Google is trolling you. 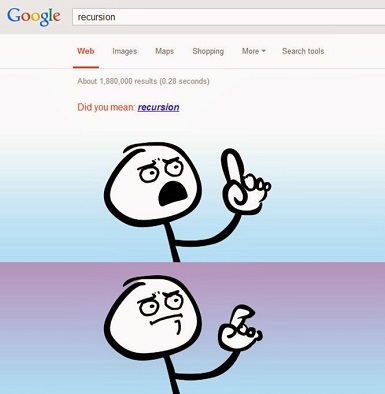 For those who are unaware, recursion means “the process of repeating items in a self-similar way.” So if you enter recursion into Google search, then click on the suggested recursion it will just reload the page, for ever. Recursion comes from the word recur which means to repeat over and over again. It seems as though a programmer at Google thought that it would be a nice private joke. You can’t really blame him either. Everyone loves a bit of fun, even if it is a little lame. If you would like to try out a few other cool Google Easter eggs, head on over to this site. They have a great list of tricks to try out. Some are well known, others are less known. You never do know, it could help you waste an evening at the expense of Google. Previous article Why Does Chewing Aluminum Foil Hurt?